This morning at 4:00 I absolutely could no longer sleep! Very disappointing after being in the car over 10 hours yesterday! So I got up and made coffee and worked a little bit, knowing I would be exhausted by the end of the day with 3 meetings today and various tasks ahead of me. As I'm winding up some work right now, I wondered if there was far more to accomplish then a couple of early morning tasks. So I began to pray and ask the Lord to be pleased with my day. It's amazing when we're obedient and quiet our hearts what He brings to our attention. I'm not claiming any mystical revelation - more like an 'abiding in Him' quiet focus. I think the context of this was when God needed people to 'stop trying vainly' to accomplish and let it be obvious that this was going to be something only God could do. 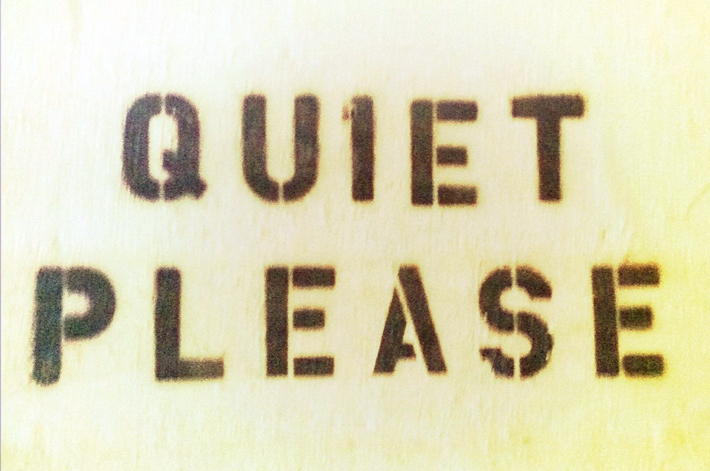 It's interesting that God asks for our quietness - to step aside so He can work. I SO want to be still enough to hear God's leading - and then to trust Him completely today! Will you be loud, or quietly abiding today?